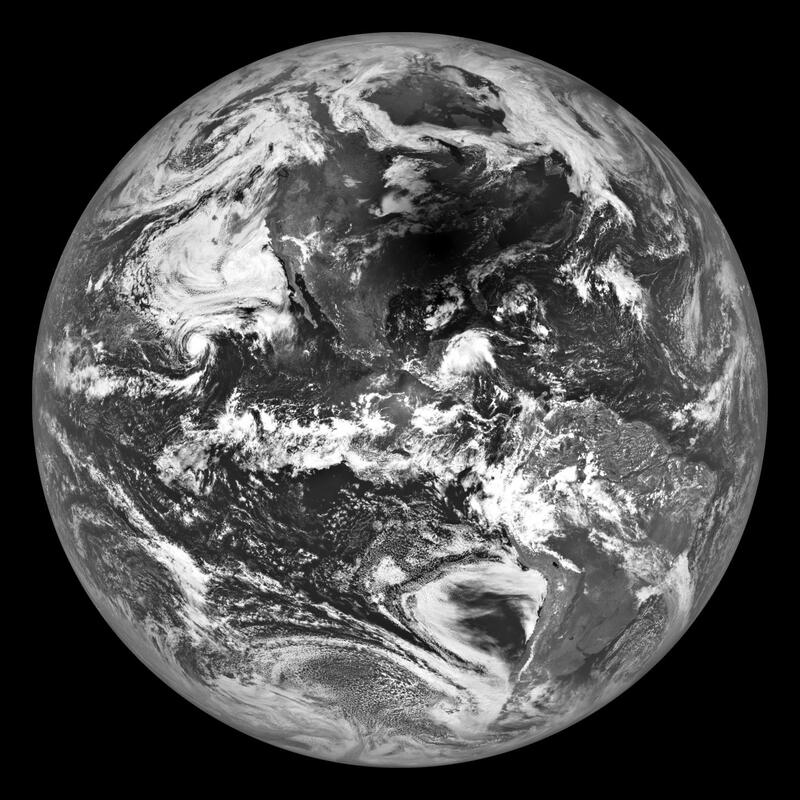 During the total solar eclipse on Aug. 21, NASA's Lunar Reconnaissance Orbiter, or LRO, captured an image of the Moon's shadow over a large region of the United States, centered just north of Nashville, Tennessee. A few minutes later, LRO began a slow 180-degree turn to look back at Earth, capturing an image of the eclipse very near the location where totality lasted the longest. The spacecraft's Narrow Angle Camera began scanning Earth at 2:25:30 p.m. EDT (18:25:30 UTC) and completed the image 18 seconds later. The Narrow Angle Camera builds up an image line by line rather than the more typical "instantaneous" framing that occurs with digital or cell-phone cameras. Each line of the image is exposed for less than one-thousandth of a second; the exposure time was set as low as possible to prevent bright clouds from saturating the sensor. It takes about 18 seconds to acquire all 52,224 lines for the image.